Dorgem is a nice, free Windows program, belonging to the category Communication software with subcategory Webcam. Since we added this software to our catalog in 2006, it has obtained 15,959 installations, and last week it gained 5 installations. Its current version is 2.10 and the latest update happened on 2/20/2006. It's available for users with the operating system Windows 95 and previous versions, and it is only available in English. Dorgem is a not that heavy program that doesn't take up as much storage space than the average program in the section Communication software. It's a very popular program in some countries such as Mexico, Egypt, and Dominican Republic. Dorgem is a webcam capture application for Windows 9x and up. Any Video for Windows compatible webcam (or other digital camera) is supported. It has unlimited storage events that can put the captured image on an FTP site as well as a local disk, all with their own time interval. 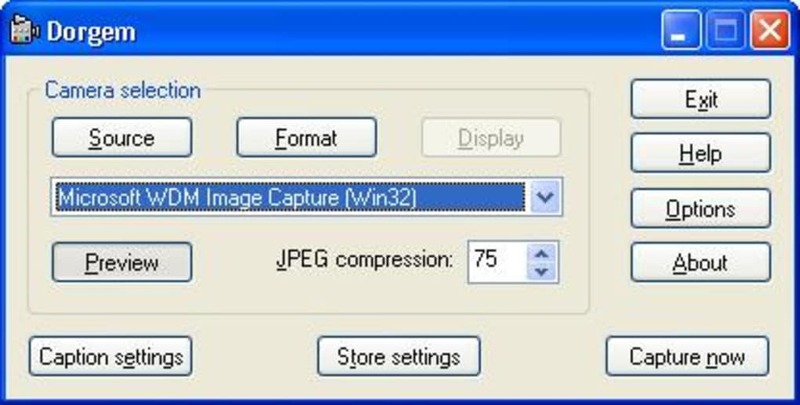 It can put a unlimited texts and bitmaps on the captured image before the image is stored. Dorgem supports an unlimited number of simultaneous cameras. What do you think about Dorgem? Do you recommend it? Why?